After I’m Gone ~ Lippman, Laura; William Morrow/ HarperCollins Publishers. All the Light We Cannot See ~ Doerr, Anthony; Scribner. Archetype ~ Waters, M.D. ; Dutton. The Book of Unknown Americans ~ Henriquez, Cristina; Knopf. The Enchanted ~ Denfeld, Rene; Harper/ HarperCollins Publishers. Everything I Never Told You ~ Ng, Celeste; The Penguin Press/ Penguin. The Girl with All the Gifts ~ Carey, M.R; Hachette Book Group/ Orbit. A Guide for the Perplexed ~ Horn, Dara; W. W. Norton & Company. The Husband’s Secret ~ Moriarty, Liane; Putnam/ Penguin. I Am Pilgrim ~ Hayes, Terry; Atria/Emily Bestler Books. The Invention of Wings ~ Kidd, Sue Monk; Viking Adult/ Penguin. Life After Life ~ Atkinson, Kate, Reagan; Hachette Book Group/ Reagan Arthur Books. Lock In ~ Scalzi, John; Tor Books/ Macmillan. The Martian ~ Weir, Andy; Random House. Neverhome ~ Hunt, Laird; Hachette Book Group/ Little, Brown & Company. Night Film ~ Pessl, Marisha; Random House. The Pearl that Broke Its Shell ~ Hashimi, Nadia; William Morrow/HarperCollins Publishers. The Queen of the Tearling ~ Johansen, Erika; Harper/ HarperCollins Publishers. The Sea of Tranquility ~ Millay, Katja; Simon and Schuster. The Sleepwalker’s Guide to Dancing ~ Jacob, Mira; Random House. Stars Go Blue ~ Pritchett, Laura; Counterpoint/ Perseus. Station Eleven ~ St. John Mandel, Emily; Knopf. 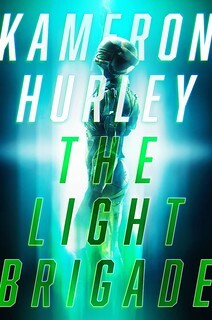 The Steady Running of the Hour ~ Go, Justin; Simon & Schuster. Terms & Conditions ~ Glancy, Robert; Bloomsbury USA./ Macmillan. To Rise Again at a Decent Hour ~ Ferris, Joshua; Hachette Book Group/ Little Brown & Company. Many thanks to the TLA folks who sat on this year’s task force committee. You’ve put my book in some excellent company, and I am deeply appreciative. Cool. Well earned. I’ll have to check out some of those other books too. I like to see librarians doing good work anywhere, and particularly in Texas. Most of the news I see about Texans’ relationship with books is not positive. Go librarians! Congrats to everyone on the list! That’s some nice news indeed. It’s a great list, and I love the name. A nice play on the “round-up” concept. I’ve read five of the books on that list and enjoyed them all (for the record: The Girl with all the Gifts, Life After Life, Lock In, The Martian and The Sea of Tranquility). I enjoyed them all. On the off chance that those Texan librarians know something, I’ll have to check out the other books on their list. Congrats! And it is indeed fine company to be in. Congratulations. Those librarians had some good ideas. For my Hugo nominations reading, I have put _The Martian_ and _Station Eleven_ on hold at my local library. Wow! And to think I read a few of these books, including yours! very cool. note that my friend rene denfield is on the list as well. you are in good company. . . as is she. 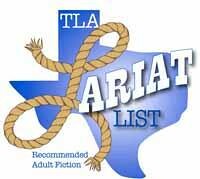 The Texas Library Association practically invented the TLA. Oh, I am *so* looking forward to even more ill-informed statements about Texans and books in this comments section. Wait, no I’m not. I think I’ll bug out now that my congrats are done. 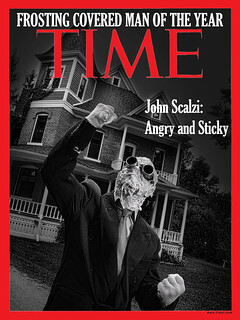 Once again, congratulations to you, Mr. Scalzi. Your writing is a delight, and you earned the spot.